Have you ever been cooking dinner and felt like your toddler is right under foot and you wished for a simple toddler activity that was little to no prep? This seems to happen all the time around here! I love cooking with my toddler. In fact, it provides awesome opportunities for learning without much prep. 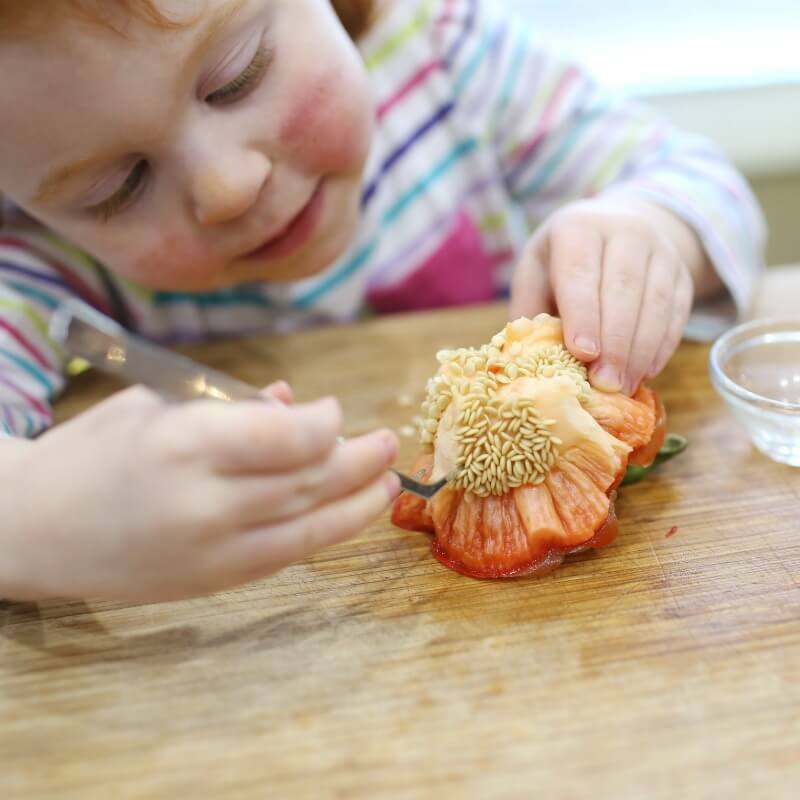 Just the other night during dinner prep, my toddler was exploring vegetable seeds with the vegetables I was already using for dinner! I kid you not, when I tell you that this activity took less than one minute to set up. 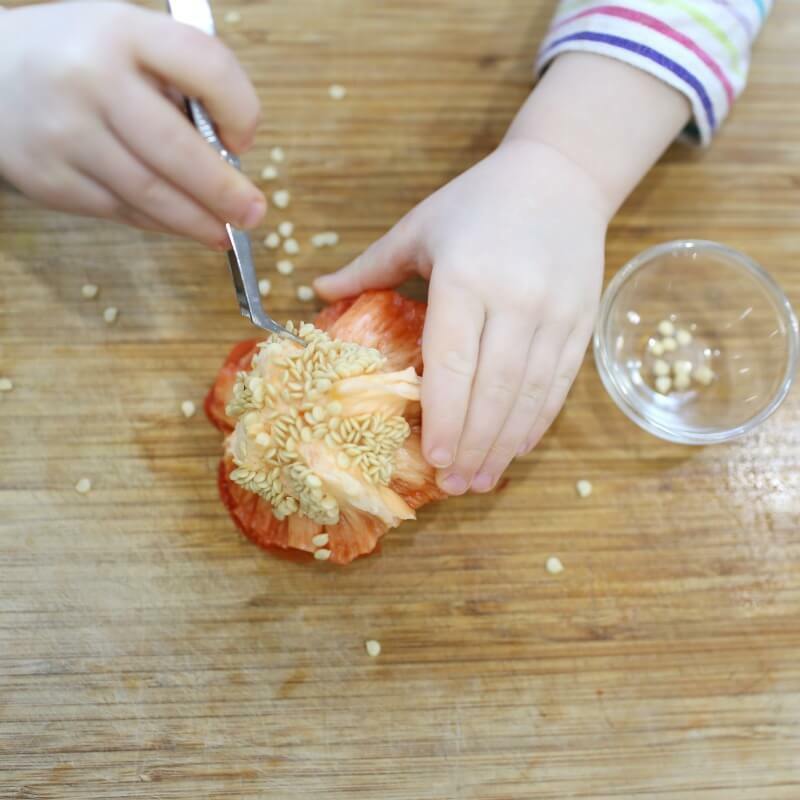 We were already making dinner, already had out the materials, all I had to do was grab an empty bowl, a few science observation tools and we were ready to go with this simple toddler science idea! The materials and set up for this activity are super simple, as I already mentioned. Remember how I said set up was super easy? I wasn’t kidding. 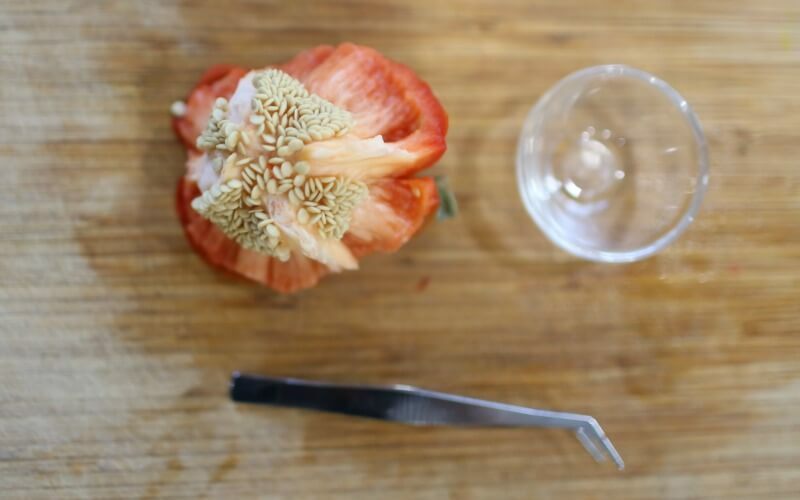 We literally just put the top of the pepper on a cutting board with a small bowl and added some tweezers. I didn’t even have to show my daughter (2.5 yr) what to do. She just got started because she was so curious. Not only was this activity perfect for vocabulary and investigation, it was perfect for fine motor development as well! One by one, she pulled off the seeds and put them in the small bowl I had provided for her. She had so much fun pulling off the seeds and talking about their shape, color, and their purpose. She even tried counting a few of them as she pulled them off. Once she had the seeds all pulled out, she got out her magnifying glass and explored the seeds even further. 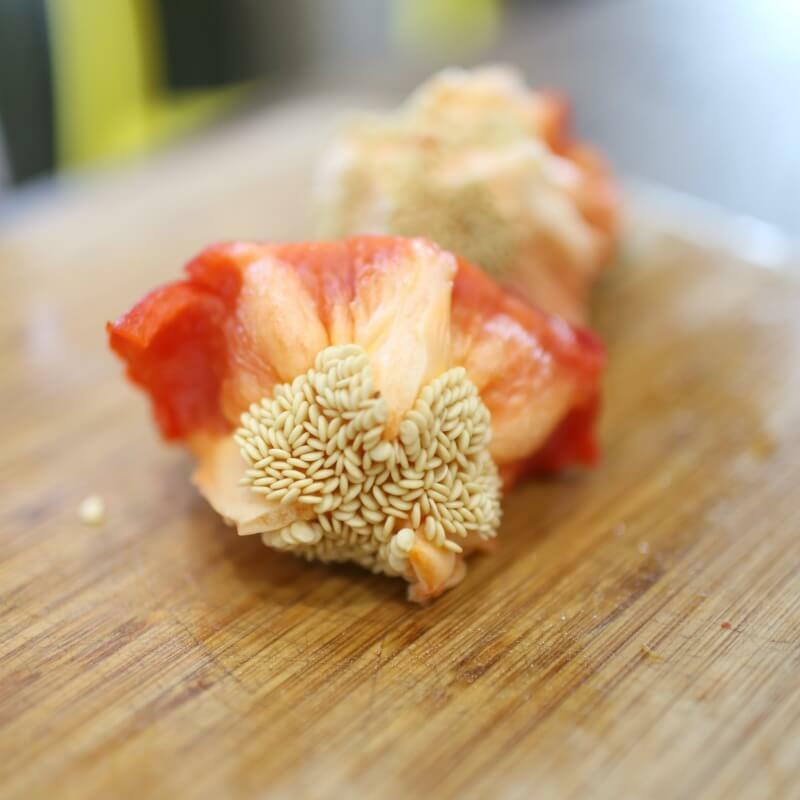 We planned on drying them out and planting them, but if you follow us on Facebook, you know that we had a mishap with a mouse. Oops. 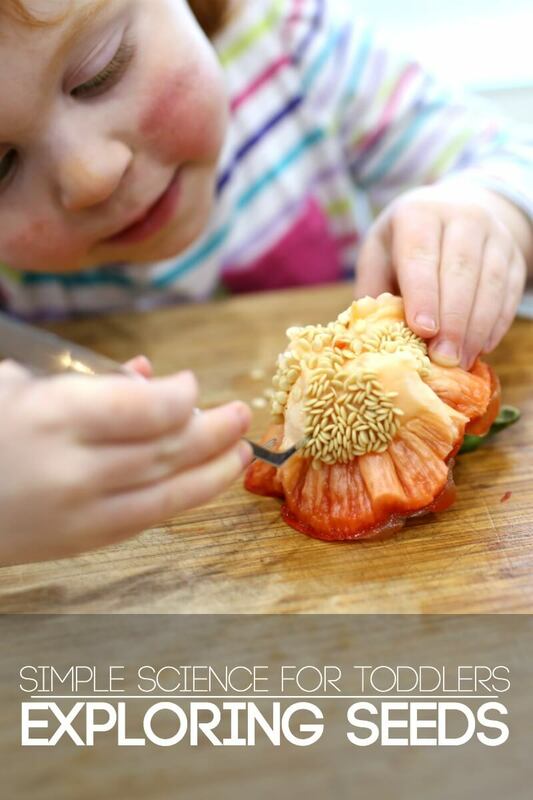 Nevertheless, this is such a fun and easy toddler science exploration, that I highly suggest trying it the next time you have peppers on your ingredient list for dinner time. 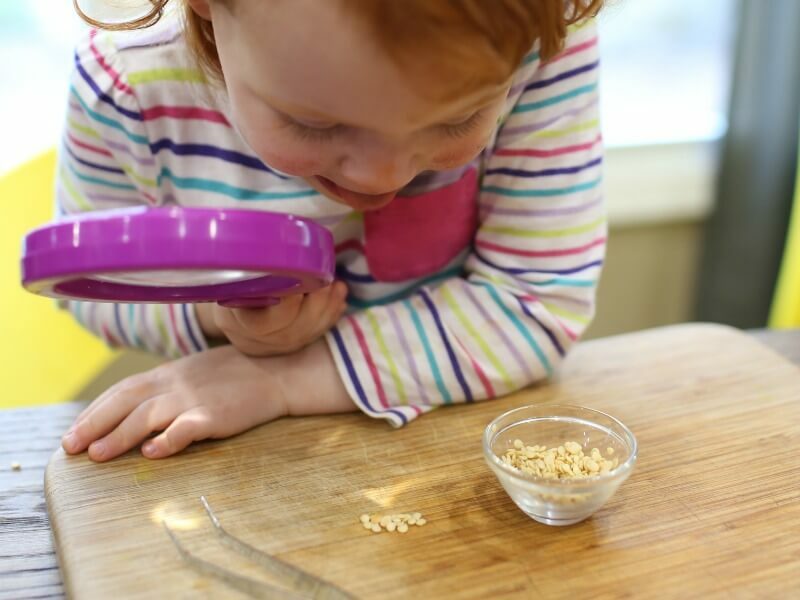 Do you have a favorite Toddler Science Activity? I would love to know! Connect with me onFacebook, Twitter, Google+, Pinterest, Instagram or subscribe by email. I can’t wait to hear your ideas. 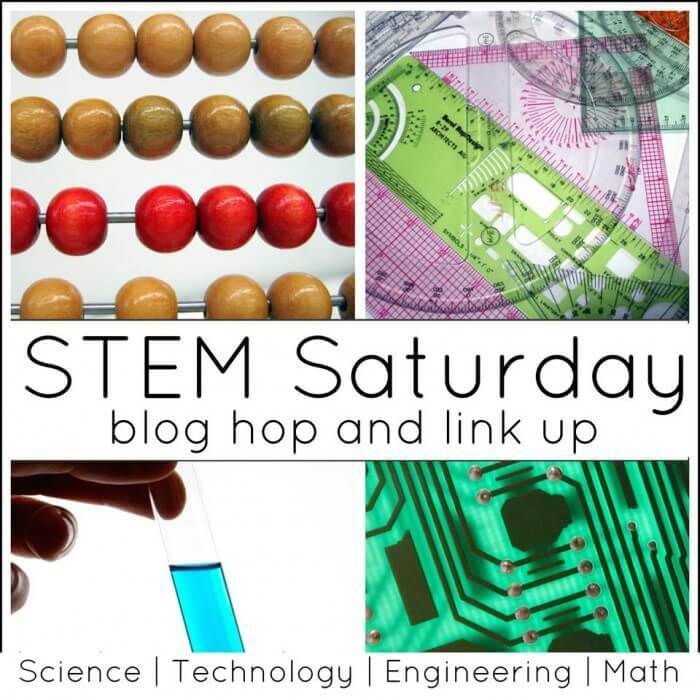 Still wanting more STEM activity ideas? Luckily you can always head over to last week’s post and check out more great resources! 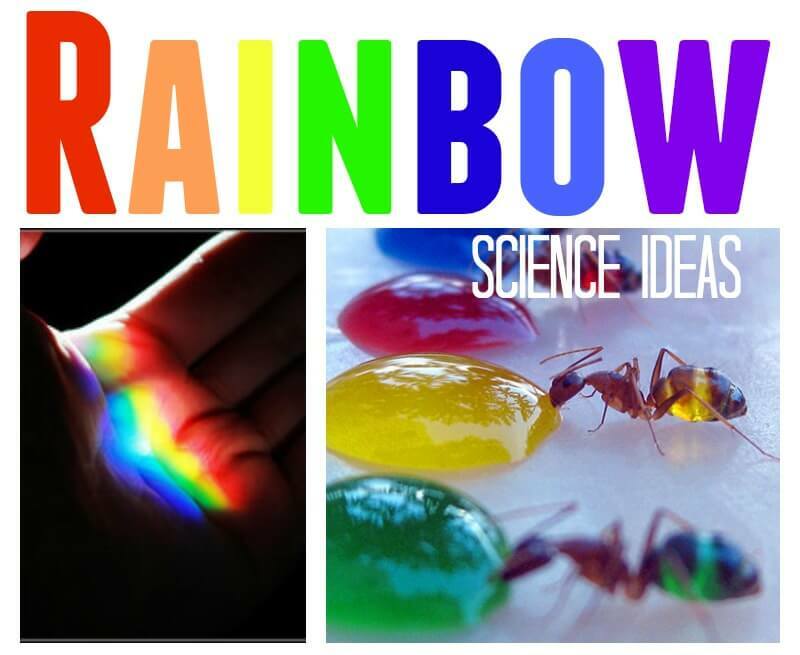 Each week, we will share ideas in one or more of the areas of STEM to give you more ideas to get you ready to explore learning in an exciting way!